The intensives are sold out, but the #NY16SCBWI conference still has some remaining spots! 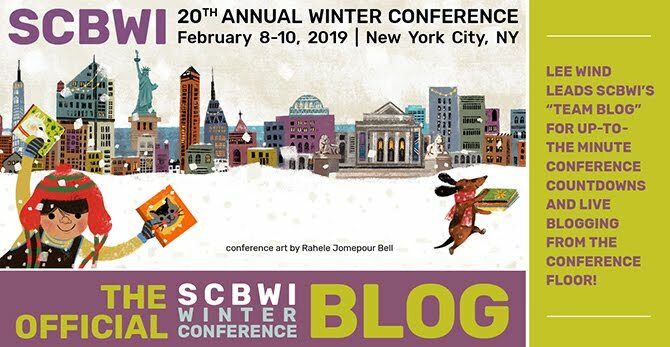 Join us for all the craft, business, inspiration, opportunity and community that the amazing SCBWI Winter Conference offers. With industry-leading editors, agents, publishers, art directors and superstar authors and illustrators on faculty, and a schedule of panels, breakout sessions, a porfolio shows, a party and illustrator, international and LGBTQ Q&A socials, it's a love-your-career way to spend Valentine's Day weekend! You can get all the conference info and still register here. Check out this interview, where Kate shares some things she wishes she knew when she was starting out, tells us about bullet journaling, and there's even an under 6 minute animated video of Kate giving a TED Ed talk on "Building Fictional Worlds!" Kate Messner will be giving a keynote speech at the New York SCBWI conference in February with fellow middle-grade author Linda Urban, "Music, Mountains, and Mocha Lattes: Sustaining a Creative Life" that promises to be amazing! We hope you can join us. Here's where you can get all the info on the conference and registration. 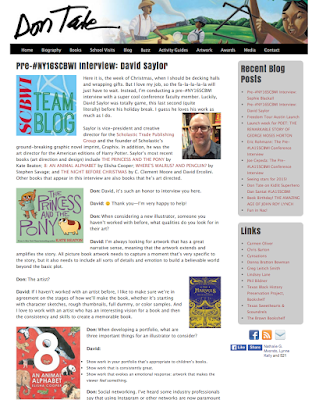 Vice-president and creative director for the Scholastic Trade Publishing Group and the founder of Scholastic’s ground-breaking graphic novel imprint, Graphix, David Saylor shares some great advice with Don Tate. 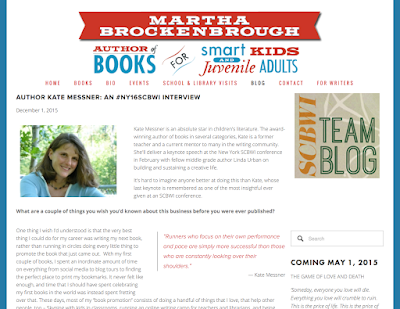 "It’s up to publishers to reflect the world around us in the books we create. We need to be more aggressive to find and hire illustrators who represent all cultures and communities. It’s heartbreaking when children can’t see themselves reflected in contemporary books. And all illustrators need to think about being inclusive and culturally accurate. If you’re going to illustrate humans in your work, then it’s crucial to paint and represent kids of all cultures and backgrounds, not just your own familiar world." Check out the full interview at Don's blog here. 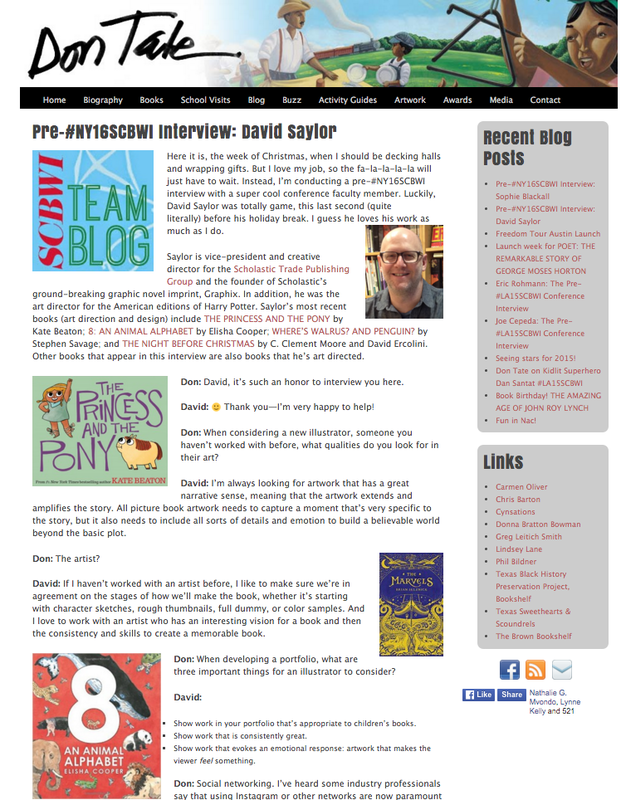 David Saylor will be on faculty at the #NY16SCBWI conference, part of the "We're In It Together: How Planning and Collaboration Can Shape Your Career" panel in the Friday Illustrator's intensive. You can find out all the details about the conference (and still register) here!